NEW YORK (AP) — Check out the upcoming events at Chicago’s United Center and you’ll see Bulls games, Blackhawks games and concerts by Fleetwood Mac, Nicki Minaj and Cher, among others. Just for the scale of its venues, there has never been a rollout quite like the one for Obama’s memoir “Becoming,” with stops including the Pepsi Center in Denver and American Airlines Center in Dallas. While popular authors have been likened to rock stars for years, Obama is the first to promote her book on a scale common for top musical performers, even using the entertainment company Live Nation. 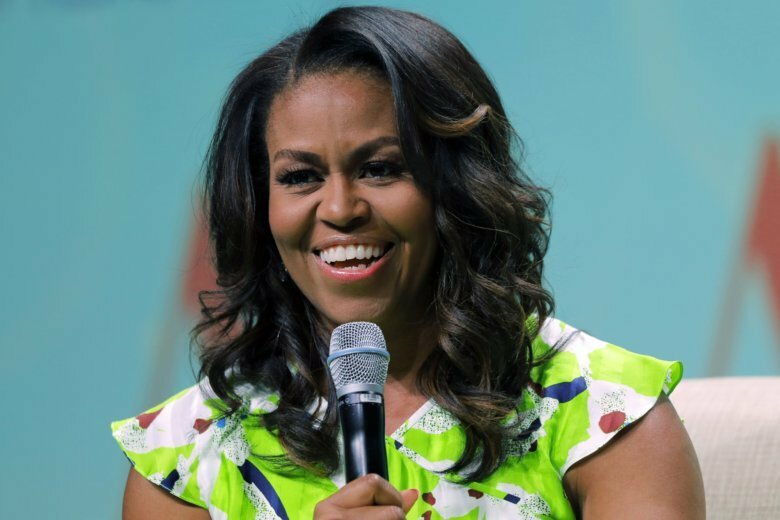 “This was a priority for Mrs. Obama and we are proud to collaborate on this effort,” she said. Publicity directors for other publishing houses could not think of another time when venues the size of Barclays Center were used for an author. Clinton’s book tour last year for “What Happened” included stops at the Boston Opera House and Seattle’s Paramount Theatre, both with capacities of 2,500 to 3000. According to J.K. Rowling’s U.S. publisher, Scholastic, the largest event for the “Harry Potter” author has been at New York’s Radio City Music Hall, which seats around 6,000. Scholastic has its own brand name author out this fall, Dav Pilkey of “Captain Underpants” fame. Spokeswoman Charisse Meloto said an event in Frisco, Texas, at the Dr. Pepper Arena, which can seat more than 5,000, may have to be capped at 3,000 so the author can meet as many fans as possible.